One family. Too many secrets. Four people who want to matter. Local Bookstore: To support your local bookstore, print out Tiger Drive Media Sheet and ask them to special order the book for you. They get a discount. Barnes & Noble Nook digital will be available for sale on February 14, 2018. 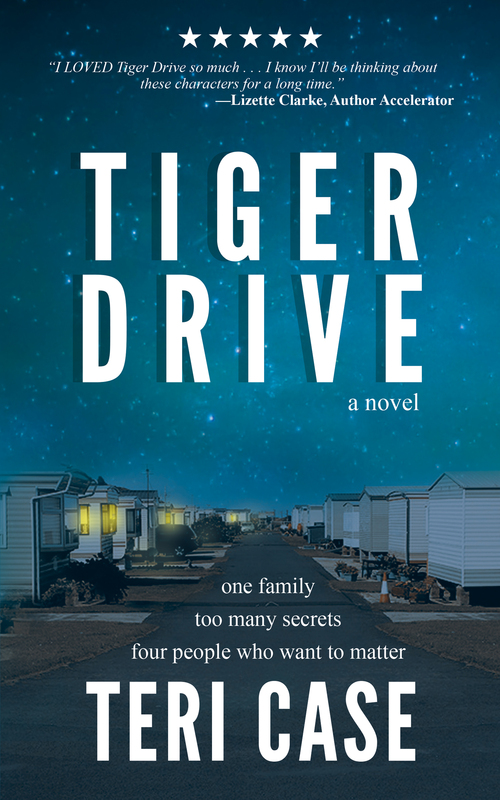 Gift Card: If you’d like to purchase Tiger Drive as a GIFT, you can print out a gift card for the special occasion: click here to access a print and fold gift card. Signed Book Label: If you order a paperback at anytime and want a personalized signed book label to affix inside your copy, please mail a self-addressed-stamped-envelope and a note who the label is for and any special information to: Teri Case, P.O. Box 4955, Ithaca, NY 14852. Thank you so much for being on the journey with me. If you’d like to help spread the word about Tiger Drive, click on this link and use the share buttons at the bottom of that page. As always, thank you for being you.